Summary: Yoshino Takigawa and Mahiro Fuwa are two teenagers who start a quest to help a stranded magician at the same time strange phenomenons are occurring throughout Japan. Despite being a young girl, Hakaze Kusaribe is an extremely powerful sorcerer who has been isolated from the rest of the world by the rest of her clan due to her conncetion to a godlike entity called the Tree of Genesis. Her brother plots to awaken the Tree of Exodus during her exile to try to reshape the world without her interference. 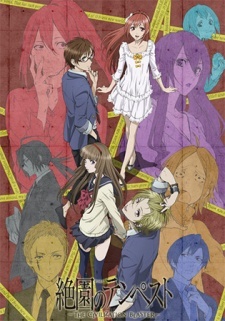 In exchange for the help of Yoshino and Mahiro, Hakaze will help find the culprit behind the murder of Fuwa's sister.